One of my fashion essentials has got to be owning a leather jacket. Whether you're wearing sheer or stripes the staple piece will simply sync with anything in your wardrobe. Leather provides a nice contrast when paired with bold prints, colours & statement accessories. 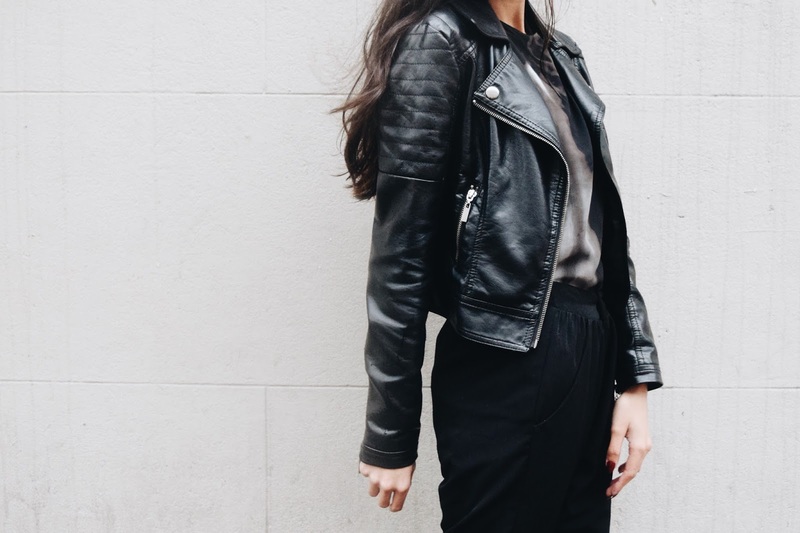 One of my favourite current trends is styling the over-sized biker jacket draped over your shoulders. It provides an edge to any look, especially if you're wearing an outfit which is quite fitted and feminine. I'd love to see your ways of styling a leather jacket. 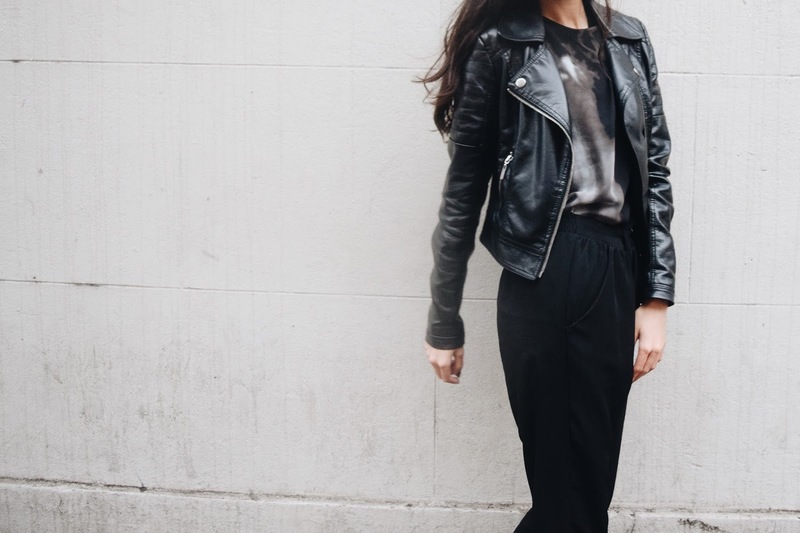 Share your favourite leather looks in the comment box below!